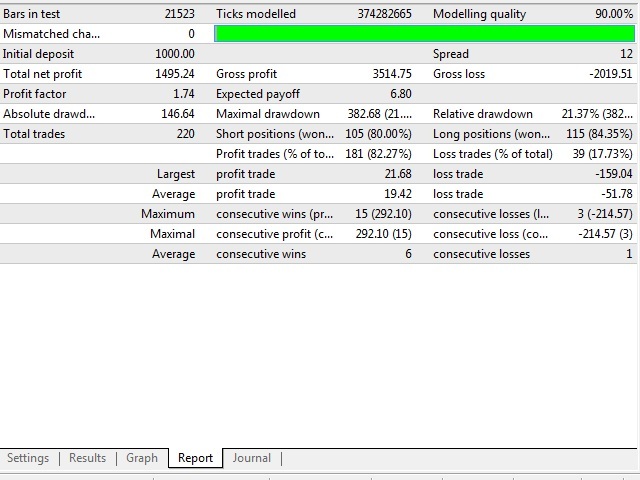 This system is a long term scalper with a 200 Point profit target . It opens an order following the direction of the price movement after a trading level is breached and the breach is large , following the momentum of the price movement . The order is closed using Macd indicator if it isn't closed with profit . 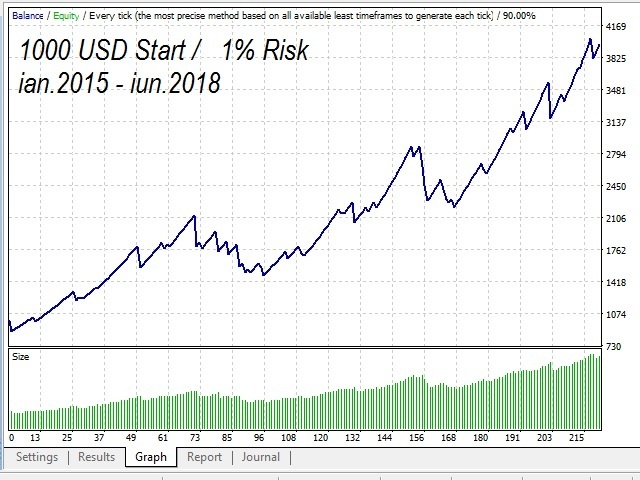 Please keep the risk down and don't risk more than 0.1 lots per 1000 USD of the account equity , because it may get to a 35% floating loss or drawdown using this setting . The best results are on the EUR/USD pair on the H1 timeframe . 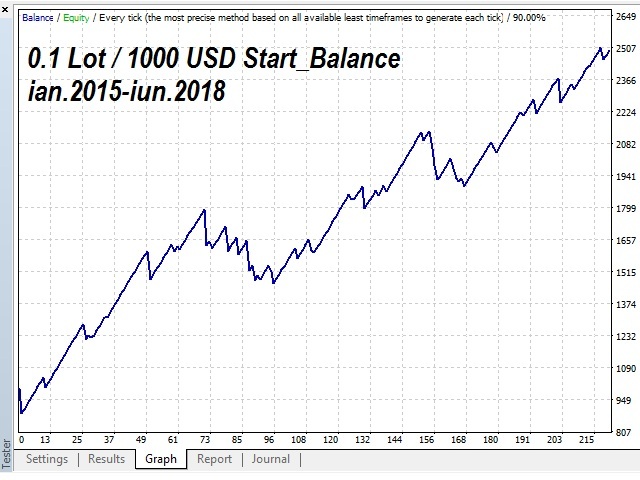 The system also has a "lot" management function and I recommand not risking more than 1% of the account equity , the default setting is 0.5 for more safety . The calculation of the "lot" size is correctly done if the account currency is USD , for other currencies you can first try with a lower setting , 0.01 for example , and check the journal from the terminal to see if you get any lot size error , if there is an error , you can increase the risk setting until you don't get the error any more . Magic : The magic number of the EA , to differentiate the orders from other EA's . 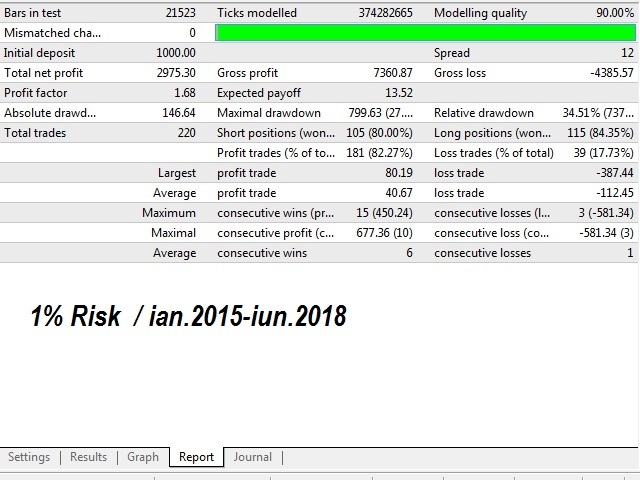 Fixed maximum volume "Comment " and lowered minimum equity reuired to start . Fixxed issue with Magic Number , and working with other EA's .